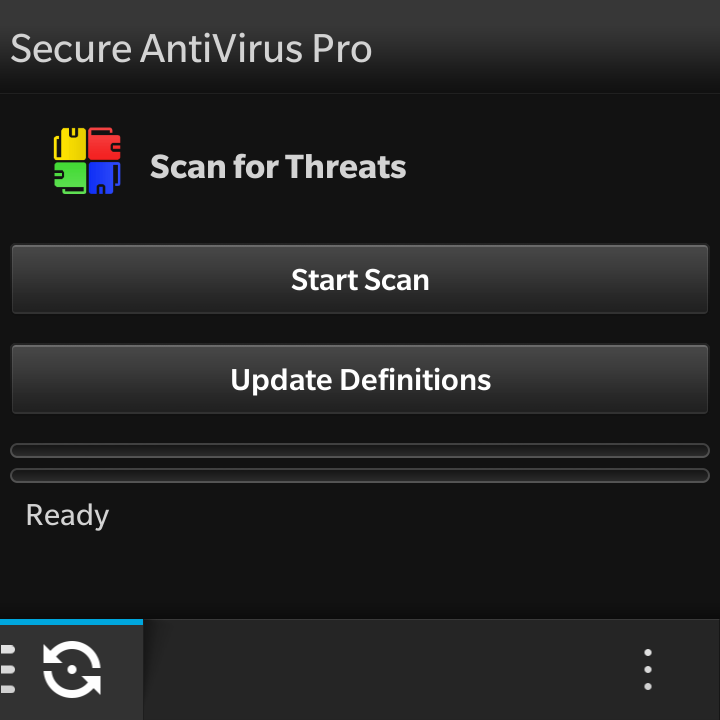 After a lot of hard work, I’m proud to announce a new Secure AntiVirus Pro release! There is so much new, thanks to the amazing work of Roger LeBlanc, and some amazing Beta Testers including Razvan, Dean Logan, Diego Nei, Glenn Kocak, Jeremy Duke, JayDee, Joe, ZanBB, Tom and many more! Maybe I could share what the new help system looks like. Or the new BlackBerry World description. - Now can even scan your computer over BBLink! It would be nice to have it automatically download and install definition updates. You have always been able to disable the notification from within the software at anytime, and update only when you feel like it. 🙂 But I will keep an adjuster in mind for future updates! I am using this anti virus first time but earlier when I installed it, it was showing 21990 virus in data base. And after updating the definition it is showing 22550 virus in data base while I have scanned whole database twice. Kindly let me know what does it mean. That’s normal :). It’s how many viruses it is looking for on your device, when you update definitions it usually adds new viruses to the database it is using to search your phone!